Will you agree with me? Perhaps you will have your own favorites. 3D Annotations or “Model-Based Definitions” (MBD): Was originally part of the 2017 release but it never made it. Like I did at first, you may question why you would use 3D Annotations in your part design. Think about this… If you could design and dimension in a single file and eliminate the need for 2D drawings, would it be something you would consider? Although this feature is being provided to apply GD&T (Geometric Dimensioning & Tolerance) to your part design, the use of 3D Annotations in your part file may assist you in other ways. See videos for additional information. “ANYCAD for Inventor”: Yes you heard that correctly. There’s now ANYCAD for Inventor. Starting with Inventor 2017 R4, you can now reference newer versions of Inventor part and assembly files into legacy Inventor models. At this time, files created in Inventor 2018 will now be able to be “linked/referenced” back into models created/saved with the R4 version of Inventor 2017. But the key word is “REFERENCED”. Models created in a newer version of Inventor can only be edited in the version they were created in. Due to performance improvements, certain Application Options/Document Settings have become obsolete. Images below are based on Inventor 2017 Application Options & Document Settings. They are being provided to demonstrate which options have been removed within Inventor 2018. Fx Parameters: A Consumed by column and “By Feature” filter has been added to the Fx Parameters dialog. See video for additional information. Open (dialog): The Find command is now accessed through the binocular icon and last saved information (introduced in Inventor 2017 R3) has been relocated under the thumbnail image. Sheet Metal: Multi-body sheet metal (Face, Contour Flange, Lofted Flange, and Contour Roll) now support unique thickness/rules for each body. See video for additional information. Extrude Distance from Face: New extruding option to extrude sketches residing on other planes without the need to create additional sketches/projected geometry or additional work planes. See video for additional information. Hole Function Enhancements: A new option is provided to adjusted the starting face of the hole when there’s overlapping surfaces above the starting face of the hole. The other two new enhancements is the ability to create a zero (0) depth spot face and a bi-directional hole. See video for additional information. Chamfer Tool Enhancement: A “Partial” tab has been added to the Chamfer function dialog to allow for the creation of partial (length) chamfers. See video for additional information. Find command is accessed now through the binocular icon. 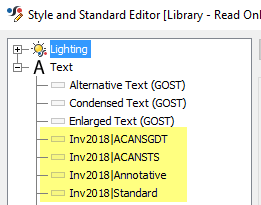 Last saved information (introduced in Inventor 2017 R3) has been relocated under the thumbnail image. A toggle to open in Full or Express mode provided without the need to access File Open Options. A toggle to open in Full or Express mode provided under the File Open Options. Previous version only had a toggle to open or not open in Express mode. In Inventor 2018, Shrinkwrap and Simplify functions have been relocated. First image shows layout in Inventor 2017. Second image shows where the functions have been relocated in the 2018 release. Shrinkwrap workflow has changed as well and additional options has been added to fine tune your results. Pre-Inventor 2018: Define file information and then Shrinkwrap requirements. Inventor 2018: All functions, like file creation and Shrinkwrap requirements are now present in a single dialog. Toggle to defer updates or load full is now provided without the need to access these options under the file open options. Drawing File Open options have also been changed for Inventor 2018. Delay added to view updates when editing view scales. Thus allowing the user to change the view scale without the view reacting instantly to the change. A preview of your drawing view can now be enabled or disabled when placing views on the drawing. When disabled, only the view boundary box is displayed and thus allowing for faster placement of views related to large model. A Recovery Options tab has been added to the Drawing View dialog box to control whether to include surfaces and/or mesh bodies. Additional options to include work features (relocated from the Display Options tab) and model dimensions when placing the drawing view. A toggle for Defer Update has been added to the right mouse content button in a drawing. This works the same as accessing the Tools/Document Settings of the drawing. Views with out-of-date components now also get the out-of-date state icon within the browser tree. The right mouse click drawing view context menu option of Retrieve Dimension (Pre-Inventor 2018) has been renamed as Retrieve Model Annotation allowing you to retrieve your part 3D Annotations (MBD) into your drawing views. Other notable enhancements (in no specific order). Browser/DWG underlay right mouse context menu is also updated and provided with the options of delete, translate, redefine, measure, visibility, layer visibility and suppress/break link to support DWG Underlays in an assembly. Part or Assembly files now allow for more than 1 DWG underlay to be imported in. When the option “Autoproject Edges During Curve Creation” is enabled under Tools/Application Options/Sketch (tab), DWG Underlay geometry of points, arcs, circles, lines and polylines from the DWG Underlay will automatically be projected. Corrected Joint behavior related to DWG Underlay geometry. When working with parts list and Bill of Materials, you can now sort by numerical or string. Support for surfaces has been added to presentation files such as the tweak command can move surface bodies or orient/position the tweak triad using surface geometry. As always, newer version of Inventor now support additional versions of supporting CAD applications (direct translation/supporting file versions). See the help section of Translator Support for additional information. When exporting to a STEP file, Application Protocol of 242 has been added to support 3D Annotation or MBD type part files. %RELEASE% variable will make it easier to export and import your applications options in the future.